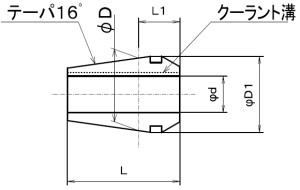 ・European standard 16°tapered (DIN6499/ ISO15488) collet. 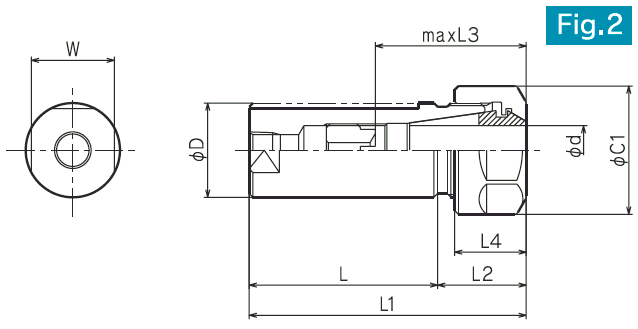 ・We offer several series of products which range from φ0.3 to φ34. ・We can offer special sleeve in short delivery time. 1, Gripping range differs in following case. 2, They cannot grip tools beyond its nominal diameter. ・We are challenging to realize accuracy of a micro-level based on our achievement as a professional manufacturer. ・We offer high quality products stably by utilizing ISO9001. Products marked ※ is made to order. ・Chuck can be attached/ detached after fitting slit on chuck into the smallest eccentricity section of thrust ring. Both ends of collets and nuts has been improved and become flat and able to cramp to the end of cutting tool. ・Nuts and collets can be broken and lose its accuracy if you tight them too much. 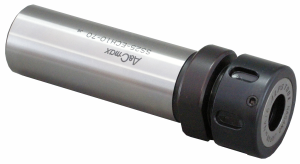 We offer NA torque spanners which help preventing over tightening. 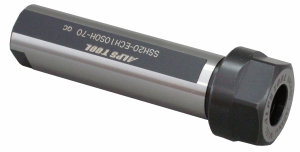 Tightening accuracy can be improved since recommended torque is visible with this spanner. 1, The above list is reference standards. Please ask us for more information. 2, We offer taper gage as well. 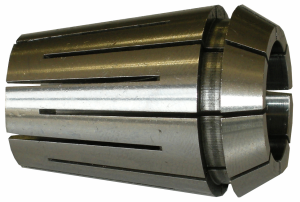 3, We offer special spindles. Please feel free to contact us for order. 4, The numerical values in above table differ when you use M-nut. ・The nuts and spanners suitable for after parts of drill holders, tap holders, and rotating tools. 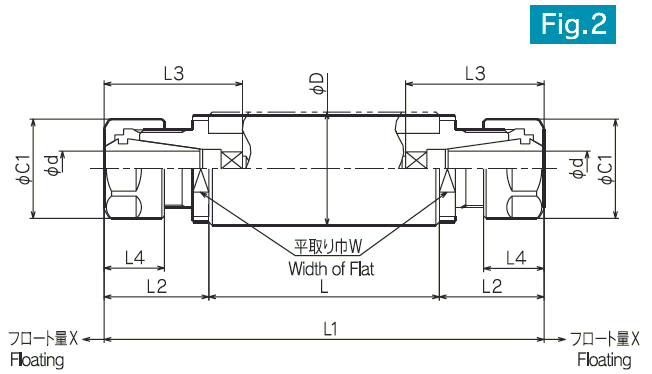 ・A nut which has narrower width would be suitable, in case components are mutually interfered. ・Please replace standard nuts with nuts for high speed rotary machining when high speed machining. ・This sealed type nut with a ball bearing realizes high runout accuracy. ・30% better gripping power than that of S type. ・This type prevents tool interference since is more compact than the other types. 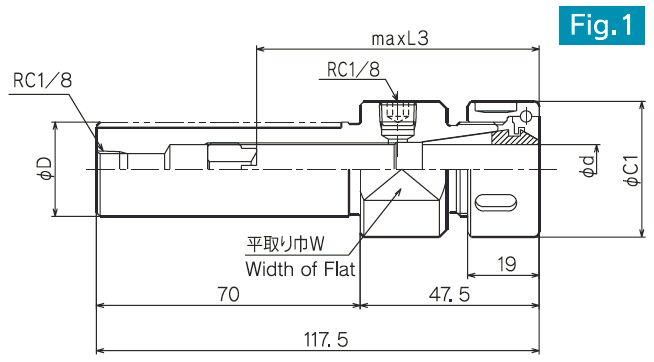 ・This type is suitable for high speed machining since is highly well-balanced. ・This type is made to order. ・This type significantly prevents tool interference since external dimension is smaller than that of S type. A special holder is essential since size of M screw is different. ・This type is thinner than the other types. Special holder is essential since size of M screw is different. ・NA-R/ SR/ MR is made to order. ・We offer special nuts, please feel free to order. 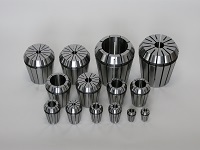 We offer durable products with high precision made with highly evaluated technique as a collet chuck manufacturer. ・Used by domestic 主直線板メーカー as standard specification. Drill collets for Swiss type NC lathes. Collets for rotary tool. 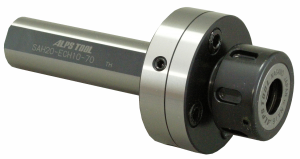 Collet chucks and tap collets for rotary tool of turning-mill centers. Tool would not be installed to the end of tool holder when you use AR20-14. 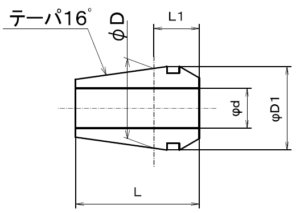 AR/OH coolant collet is a new liquid tight collet chuck which is able to seal high pressure coolant and has gripping range from 0.1mm to 0.5mm realized owing to special slits. 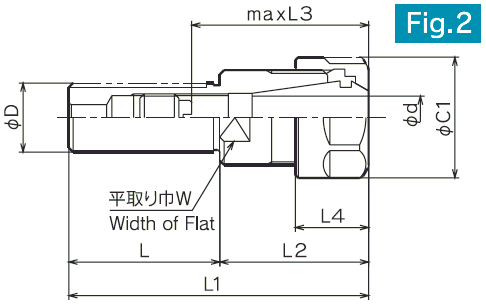 We offer various size from φ3 to φ34, please choose appropriate one according to the purposes. 5, There is a possibility of leaking coolant if you clamp a drill which is beyond nominal number (-0.1 to 0.5mm) of each collets. 6, Sealing function does not work if you use drill with flattened straight shank. There is a square rotation stopper inside. 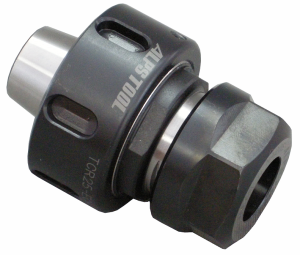 This stopper prevents rotation during the machining and assures certain tapping. 1, This table is conforming to a tap with JIS standard shank. 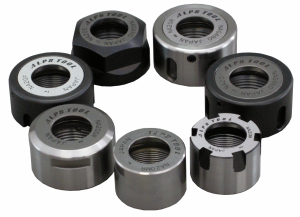 Please contact us about a tap with ANSI, DIN, and ISO standard shank or a tap in size which is not shown is the table above. 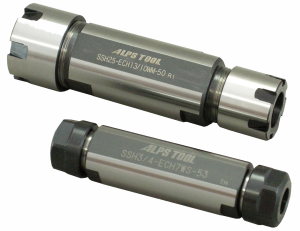 3, You can attach a tap collet to ECH type collet holder if the machine uses synchro tapping. 5, AR50 is made to order. ・Compatible with high pressure coolant. Every structure except for coolant slit of this type can seal 7MPa of water pressure. ・It is possible to easily remove chip from edge by spraying coolant toward that part. 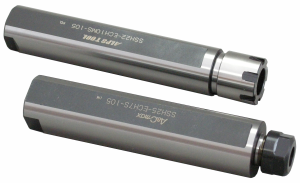 ・This type is beneficial for small diameter deep holes that cannot be processed by oil hole drill. ・Compatible with water-soluble coolant as standard. It is possible to make it compatible with oil based coolant. 1, This collet is compatible with water-soluble coolant. We offer ones compatible with oil based coolant if you need. 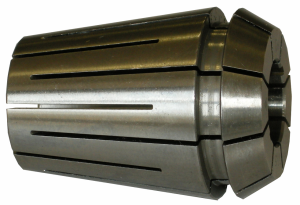 3, Please insert a drill to the end of the collet. 4, There is a possibility of leaking coolant if you clamp a drill which is beyond nominal number (-0.1 to 0.5mm) of each collets. 5, Sealing function does not work if you use flattened straight shank drill. 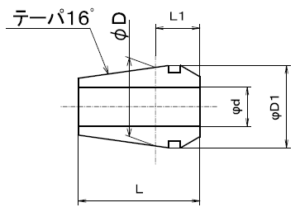 Tool change head allow you to reduce work interference, change collet size, and adjust projection length by simply replacing a standard nut with this accessory without changing turning tools, spindles, and collet holders. 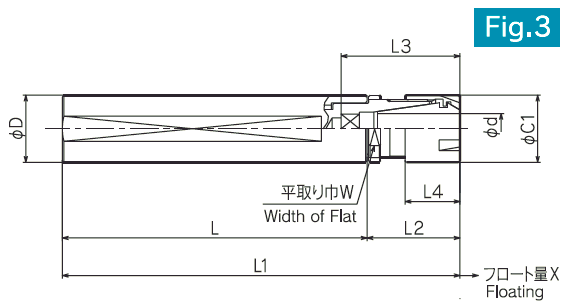 1, The holder is used in combination with a collet, please order it separately. 2, A spanner is not supplied, please order it separately. 3, We offer special shank, please feel free to order. Holder for NC lathes which has milled shank. Example (1) Usage example for a NC lathe. Please select from Fig.1 and 2. Please select from Fig.1 which has milled face on D2 shank. 1, Holders are used in combination, please order chuck collets separately. 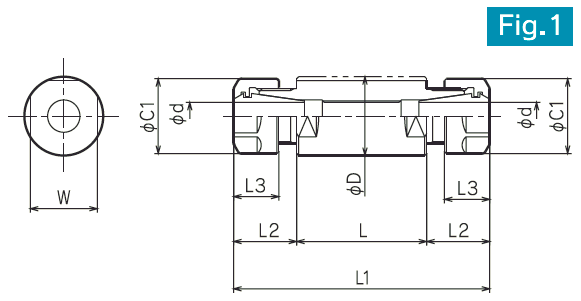 3, S type nuts can be used in combination, please replace other nut with S type one in case of tool interference. 4, Products with ○ oat CODE column are standard stock. 5, We will produce special shank in size not shown in the above tables, please　feel free to ask. 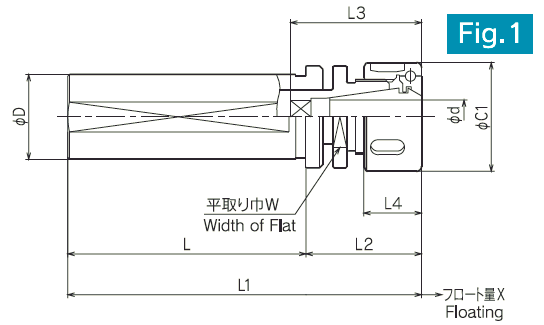 Cylindrical shank style holder for machining center etc. 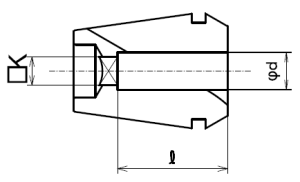 Example: Use in combination with a milling chuck for machining center. 1, Holders are used in combination with chuck collet, please order it separately. 4, Products with ○ at CODE column are standard stock. 6, CODE No.5S comes with a S nut. 7, There is no adjustment structure. 8, ECH5S is used in combination with different type of nuts. ・This is small and short holder suitable for Swiss type and くし刃型 lathes. 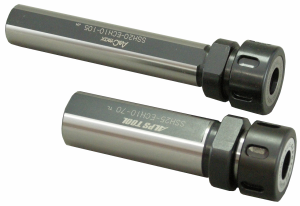 ・S nut, which diameter is relatively small comes with the holder. 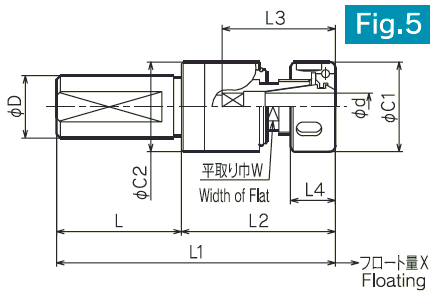 ・This tool has the shortest projecting length among our products. 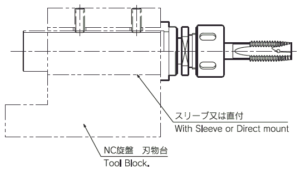 ・This holder makes it possible to use nicemill on a machine with narrow tooling zone. 3, In case gripping strength is not enough, a S nut can be replaced with a standard nut. 6, There is no adjustment structure. 7, ECH16S is used in combination with different type of nuts. This is the tap holder for NC lathes that can correct screw pitch error by floating movement of the spindle. 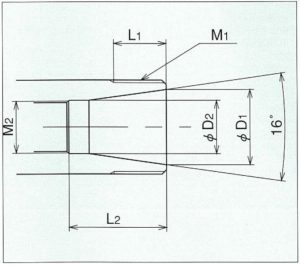 Usage example on a NC lathe. 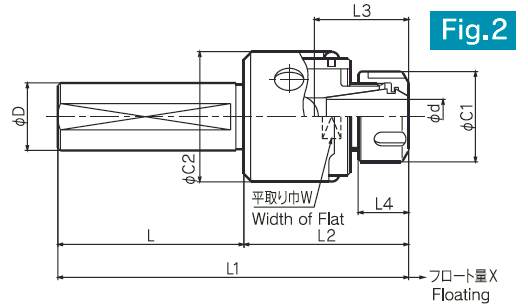 1, The holder is used in combination with a coolant collet, please order it separately. 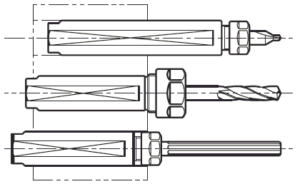 3, We offer special shank size which is not shown on the above table as well. 4, There is a 5.5 mm square hole on ECH7 and 6.5 mm square hole on ECH10. 6, Please use PF-PT tap in combination with a long shank tap. 7, ECH7S-□ is short nose type. 8, Inner coolant is not compatible with this series. Collet holder used in combination with a coolant collet. There is an internal thread for piping either at the end of the holder or on the side face. 4, ECH20S is used in combination with different type of nuts. This holder can hold two collets with each end at the same time and is able to process face milling. 3, Products with ○ at CODE column are standard stock. 4, We will produce special shank in size not shown in the above tables. 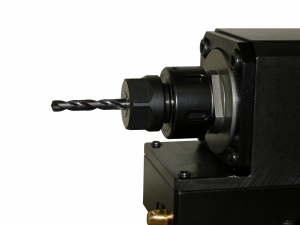 This holder is capable of correcting misalignment of core height between the main spindle and cutter rest of lathes. 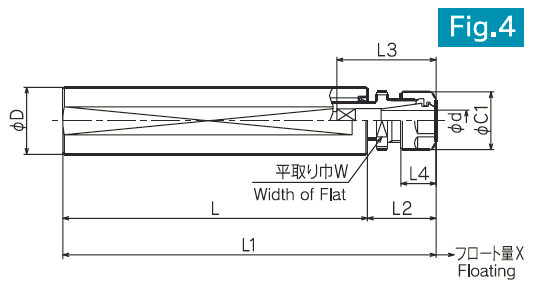 ・Core height can be adjusted in 0.6 mm (±0.3 mm) of adjustable range. 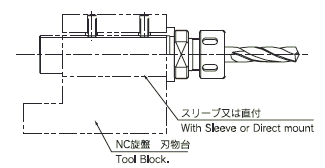 ・The holder help prolonging tool life including carbide drills and reamers. 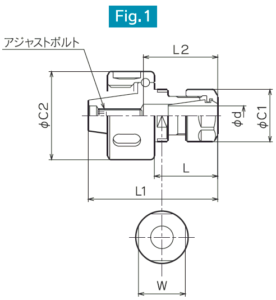 ・The holder can compensate the accuracy deterioration of a cutter rest. 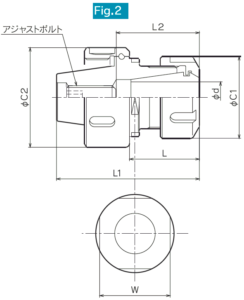 This holder is capable of correcting misalignment of core between the chuck and the turret of lathes. ・Core height can be adjusted in 0.1 mm of adjustable range. 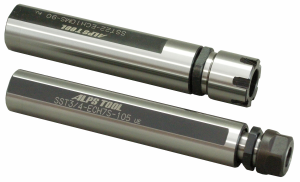 ・The holder realizes highly precise machining and help prolonging tool life including carbide drills and reamers.